Home » Data Spring Clean – Thank You! 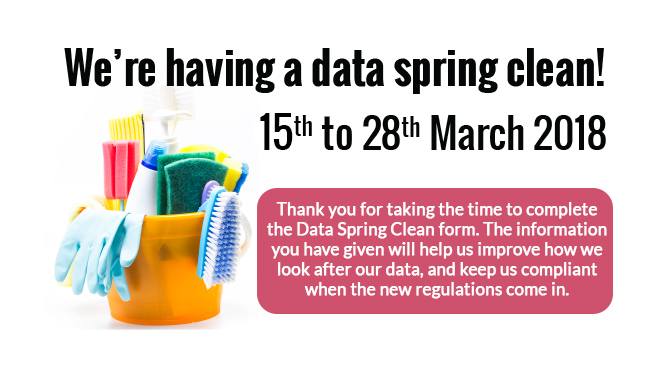 Data Spring Clean – Thank You! Thank you for you time. If you would like to read more about the upcoming GDPR regulations, please click HERE.